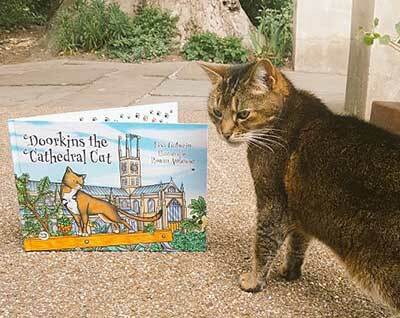 Doorkins wandered into the Southwark Cathedral a stray and found a home for life. She has become such a fixture she is even immortalized in stone, where for generations to come, people will hear her story. According to Reverend Andrew Nunn, Dean of Southwark, the most famous person to meet Doorkins was Queen Elizabeth after the Diamond Jubilee. 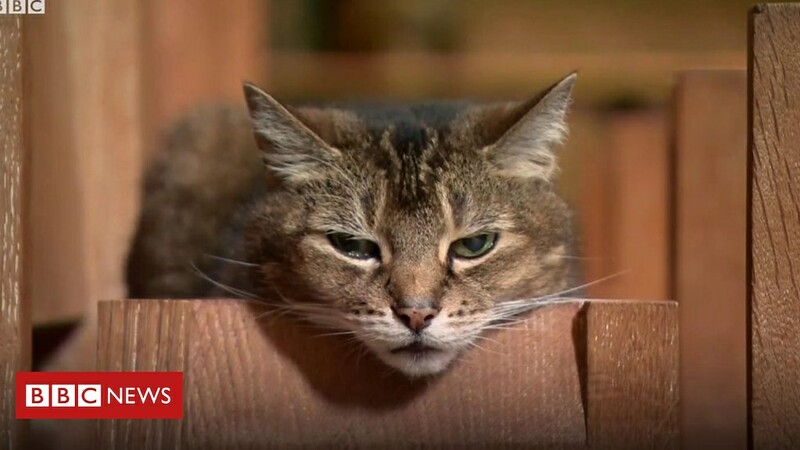 Although he noted she is a “dog person,” he did say she seemed impressed by the feline. I was homeless, now run @southwarkcathed with @deansouthwark. Love Dreamies, Vergers and bird watching. I have a book out about me and I am trademarked!! If you would like to buy Doorkins book, you can find it at Jessica Kingsley Publishers.